The Bible tells us in Genesis that God formed Adam out of the dust of the earth. I wonder if the creation process that happened in the Garden of Eden was similar to the reference that Isaiah makes in today's Scripture passage? 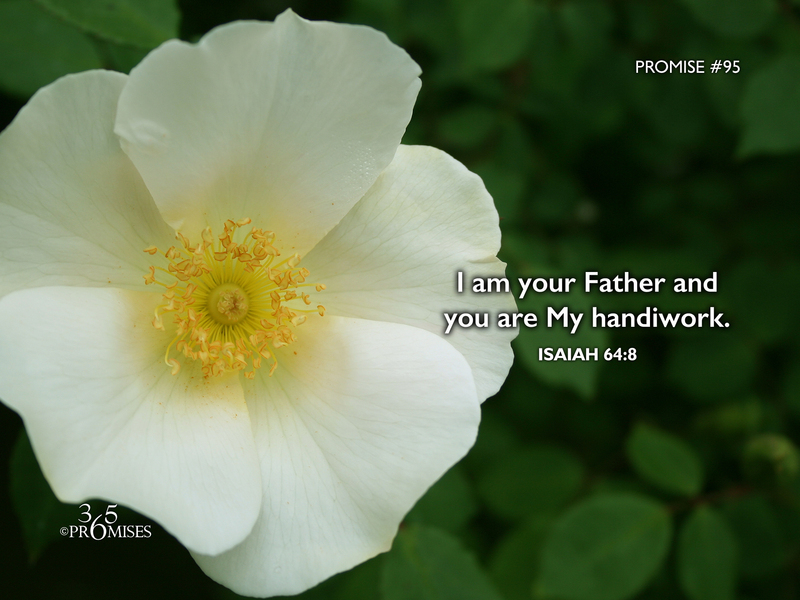 God is a loving Father who formed us with His own loving hands. His eyes are focused on each one of us as He shapes us and molds us into the image of the Son whom He loves (Romans 8:29). He is for us and we are the work of His hands! What a simple but profound thought. Ephesians 2:10 tells us that we are our Heavenly Father's workmanship created in our Lord & Savior Jesus Christ to do the good works that He prepared in advance for us to do! The enemy of our soul would want us to believe otherwise. My prayer today is that we would all see how amazing we are, simply because we are the handiwork of our Heavenly Dad!